The Elder Scrolls 6 is a ways off yet, but that hasn’t stopped anyone (least of all us) from speculating on what the game might be about, and what features it may or may not include. We may now have some information on what the plot for The Elder Scrolls 6 might be, and though it isn’t entirely concrete, it definitely qualifies as interesting- Bethesda may have hinted at it way back in Morrowind. 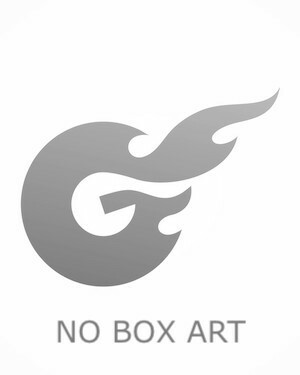 Take a look at the image above (uploaded by Imgure user Stagsdale). At first glance, it looks like nothing more than a throwaway bit of lore-laden dialogue. But there’s a chance that it may be much more than that. 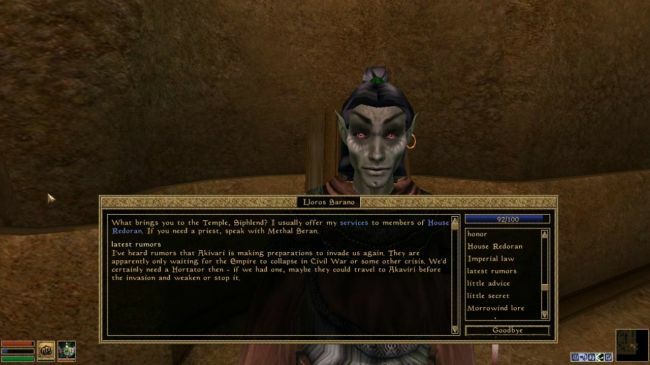 The image shows a conversation with Lloros Sarano in Ald’ruhn, in which he talks about the Akivari – a race of serpent like vampires – making preparations to invade the Empire. Sarano fears that it may happen after some crisis, like “the Empire collapsing in civil war”, and that the Dunmer may need a Hortator to lead them in battle in such a scenario. If you’ve played Skyrim, this may sound familiar. The Empire was facing a veritable civil war in the game, with the Imperials going up against a rebelling group of Nords over the dispute of Talos, while the Emperor himself was also killed by the player character as part of the Dark Brotherhood questline- all of this definitely counts as a crisis, and there’s no doubting that the Empire is weaker than ever right now. Of course, Skyrim took place over two centuries after Morrowind, so the Akivari have probably been patiently waiting for their opportunity for a long time. But if this were indeed to be the plot to Elder Scrolls 6, it might see the players acting as the Hortator to an army of the Dunmer in conflict against the invading Akivari. This isn’t the first time that something like this has happened with this series either. In the Tribunal expansion of Morrowind, a character talked about how the gates of Oblivion would open and the Daedra would roam the world freely. In case you haven’t put two and two together, that is the exact plot of The Elder Scrolls IV: Oblivion. Of course, this isn’t concrete by any means- take this with a generous dash of salt. There are literally thousands of similar lore-related references and dialogues in Morrowind and all other Elder Scrolls games, and there’s nothing to suggest that this specific one in particular has any more meaning than the others. That said, leading a defence against an army of the invading Akivari would certainly be an excellent backdrop for The Elder Scrolls 6. What are your thoughts on this? Tell us in the comments section below.